As technology becomes ever more sophisticated, so too does the way that insurers decide how much it should cost to insure a property. These days, insurers will work out how much of a risk a particular building represents by using a far greater number of rating factors than they used to. Your home’s postcode has become a crucial piece of information for insurers. When working out your premiums they will use the information accessible from your postcode, and house or flat number, to look closely at a number of factors. These include whether you’re in or near a flood plain, whether the houses next door to yours have suffered from subsidence, Japanese knotweed, flooding or blocked external sewage pipes, and if there are pubs or restaurants nearby. Insurers will also check what the burglary rate of your area and street is, the average age and occupations of those who live nearby, even the type of soil your house stands on. The type of property you are trying to insure is vital for the home insurance premiums you pay. New build houses are generally seen as a lower risk. Likewise, very old properties are seen as higher risk. Whether your house is semi-detached, detached or terraced also has a bearing. If you live in a thatched cottage, with all the associated extra fire risk of having a straw roof, expect to pay more for your cover. 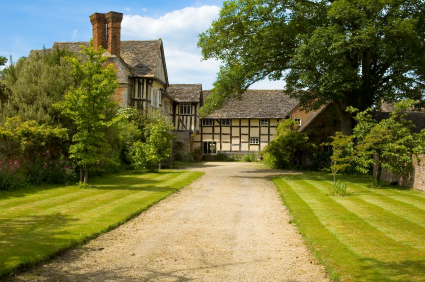 If you live in a listed building, or one which is an old water-mill, has suffered from damp in the past, or has a public right of way running through the garden, you should also expect to pay more. If you own a flat, the insurer will be keen to know if you have a private, separate entrance, or if not, how many other flats share the same entrance, and which floor your flat is on. Ground floor and basement flats, for example, are more prone to burglary, for obvious reasons. Some insurers offer ‘bedroom rated’ insurance. This means that to work out the sum insured for a building’s structure (i.e. the cost of rebuilding your home if it were totally destroyed), they simply go by the number of bedrooms, rather than asking you to give them a figure. For some people, working out how much it would cost to re-build their home is quite tricky. We’re not all that knowledgeable about building costs and it can very much depend on the type of property; new, old, listed, built from unusual materials etc. So the number of bedrooms (along with the rough age of the property and situation etc) can give an insurer a pretty good idea of how much it would cost to rebuild a home, and therefore how much your buildings cover should cost. This is another vital factor and the one over which you at least have some control. It stands to reason that if you live in a home that’s like Fort Knox, with every security device under the sun, you’re less likely of suffering loss through burglary. So the better the locks you have fitted, and the more hi-tech your burglar alarm, the less an insurer will assign to the security ‘risk’. Additionally, other security factors play a role too; whether you have double glazing, security gates, high fencing, external motion sensor lights, a garage, a front garden; all will count towards how much you pay.